Find out more about our friendly, dedicated and helpful team. Martin set up Sustaburn in 2008. 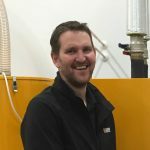 He has a background in construction: starting as a Structural Engineer, moving on to complete a degree in Construction Project Management, and then working for Laing O’Rourke for 8 years. 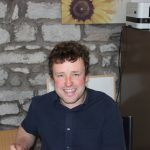 He has taken his wealth of experience in construction and passion for renewable technologies to set up Sustaburn - a company with a focus on quality and customer service. Outside of work (in the small amount of time spent outside of Sustaburn! ), Martin enjoys spending time with his family, who are growing up fast. Most Sunday mornings in the winter months are spent watching his middle son play rugby, but when time allows, the push bike is out on the open road... and its nice to sneak in a bit of skiing now and then! Tom designs the heating systems we install. He is an expert in renewable technologies. He is a keen cyclist and spends his time outside of work with his young family. He also has the best line in woolly hats! Steve joined Sustaburn in May 2014. He has over 20 years' experience in plumbing and heating, and holds all the relevant industry qualifications (HETAS). He has also been to Austria to study advanced combustion training at KWB. A keen cyclist outside of work, he is married with 2 children - which, he says, does not leave much time for anything else! Toby joined the team in 2011. He maintains and services the boilers we install, as well as working with Steve and Jack to install new systems. He fills his spare time with downhill mountain-biking, skiing, snowboarding, cycling, swimming and go-karting.... to name but a few! 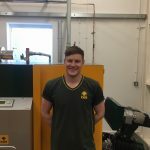 Jack has worked on lots of interesting projects since he joined the team in January 2015. He has worked on systems of all sizes - from 15kW all the way up to 200kW. 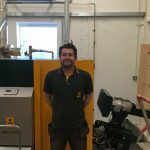 He has a keen interest in renewable technologies, having served a full apprenticeship followed by 6 years' experience in the field. Outside of work, he enjoys cycling, running and going to the gym. Cathy looks after the office and company accounts. She joined the team in September 2014. 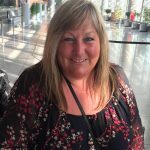 She enjoys holidays in the sun whenever she can - this photo was taken at the airport on her way back from sunny Marbella this spring! 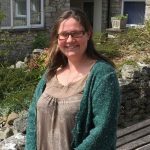 Lindsey joined the team in April 2016 and received a very warm welcome from everyone. She lives in the Lake District, and enjoys walking the hills with her partner and their little fox terrier Frankie. 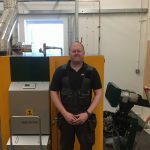 She is new to the biomass heating industry - 'I am enjoying the challenge of learning about the systems, installations and servicing processes'. 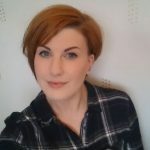 Zoe joined the team in April 2016. She has a background in promoting sustainable living, including giving energy-saving advice. She lives on a smallholding with her husband and 3 children, breeds pedigree sheep, and is in the process of building a house.